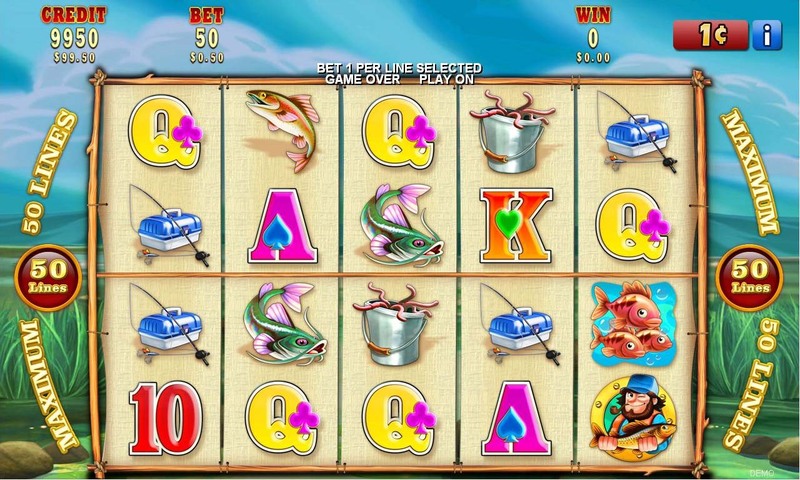 Ready your lines to reel in some big wins! Net in more free game catches with replicating substitutes and line wins in both directions: Left-to-Right and Right-to-Left. Showcase your best skills and top range gear to max out your haul. 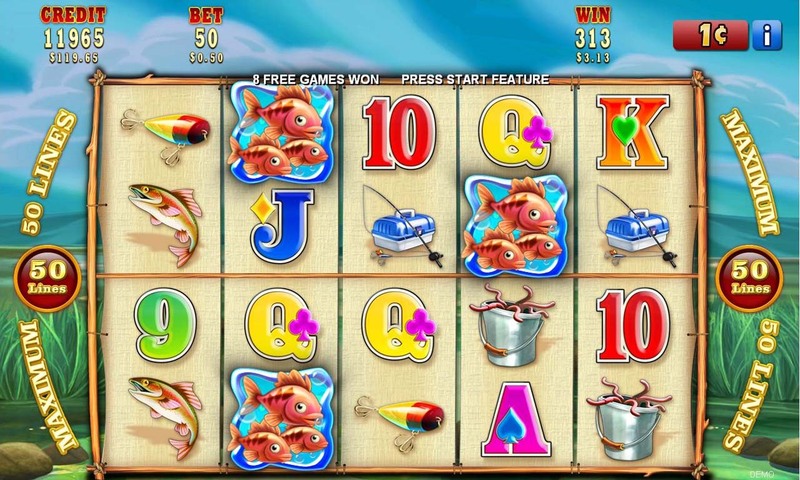 Emerge as the champion angler in our sensational free game experience. 2 or more scattered [Bordered Fishgroup] trigger 8 free games. When stacked [Fishgroup] appears in the upper/lower reel window of reel 3 then either upper reel window of reel 1 or upper/lower reel window of reel 5 will be randomly chosen, and both symbols in that chosen reel window will change to [Fishgroup]. 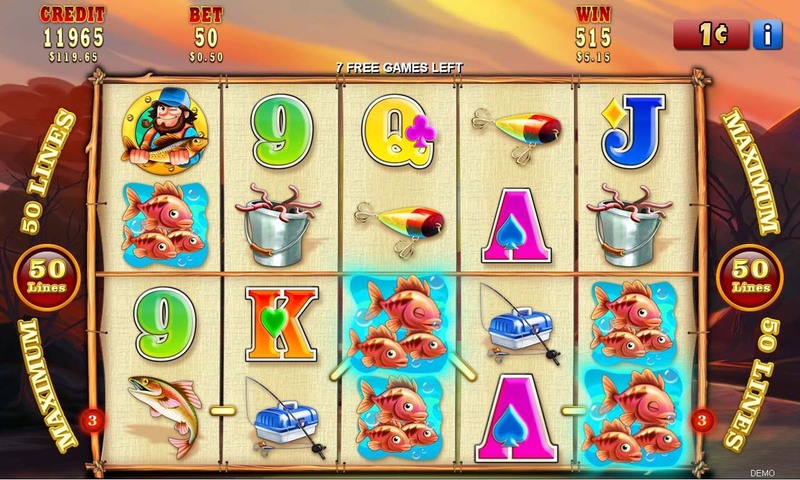 All wins left to right and right to left on lit lines only except [Bordered Fishgroup]. The hightest win only left to right on each lit line and the highest win only right to left on each lit line are added.